The worst Walmarts are located in low-income, minority communities. That's according to a study published in May by Contexts, a quarterly publication of the American Sociological Association. A Walmart store's location is closely related to how good or bad the store's customer service is, the study found. The study, which was recently highlighted by The Atlantic's City Lab, evaluated customer service by analyzing the Yelp reviews of Walmart 2,840 locations across the US. Stores in areas that have lower average incomes have significantly worse customer reviews than locations in higher-income zip codes. Additionally, locations in areas with higher proportions of Black or Latino residents have worse reviews than those in areas with more white residents. The study's author Adam Reich, an assistant professor of sociology at Columbia University, analyzed approximately 35,000 reviews of Walmart locations and found that there was a consistent correlation between both race and class and a location's Yelp reviews. Reich blames the disparity on Walmart's decision to under-staff stores in certain areas. According to Michael Catania, consumer savings expert and co-founder of PromotionCode.org, you'll want to stay away from Walmart foods that have longer and shorter shelf lives. Foods with shorter shelf lives tend to cost more, and foods with longer shelf lives might turn stale before consumption. "Once the cereal goes stale and you throw it away, you've also thrown away the initial savings," said Catania. But, that doesn't mean you have to avoid all of Walmart's canned and packaged foods. Catania recommends buying small and medium-sized foods at Walmart — they "will net you the best result for both cost and freshness," he said. Store-brand snacks at Walmart are cheaper than at some of its retailer competitors. But Walmart just can't beat the low cost of dollar store food. Stock up on crackers, chips, cookies and other goods for only a buck at discount stores — just make sure you check the expiration dates. Although Walmart has upped its selection of organic foods to accommodate the health-conscious subsection of its shoppers, you're usually better off buying organic foods from stores with organic roots, like Trader Joe's or Whole Foods. "Shopping at stores with organic roots makes sense when these are the items you are purchasing," said Kerry Sherin, a savings expert from Offers.com. According to Sherin, these stores tend to have better selections and lower prices on organic foods. When shopping for fresh produce, you're most likely better off shopping at your go-to grocery store than at Walmart. Even you're not happy with your grocery store's offerings, try Sprouts. "I often find Sprouts has better deals on fresh produce compared to Walmart," said Kendal Perez, a savings expert with coupon and deals site CouponSherpa.com. "For example, Sprouts recently had avocados on sale for 88 cents each, compared to $1.88 each from Walmart." Most retailers can't beat the price of Walmart's store-brand diapers. However, if you prefer brand names, like Pampers, you'll be better off buying from Amazon where diapers tend to be just a tad bit cheaper. Plus, if you join Amazon Family, you could get 20 percent off qualifying diaper purchases. As far as batteries go, experts tend to agree you're better off buying them at warehouse stores rather than Walmart. "Batteries are always a better buy in bulk, with Costco and Sam's Club offering more batteries for less per unit," said Perez. Sherin from Offers.com agrees. "If you want to get the best deal on batteries, buy them from warehouse clubs like Costco and Sam's Club, which will have the best rate on the largest pack of batteries." Straight Talk Wireless aims "to get people on America's best networks without the expense — or the commitment that comes with contracts," according to its website. However, many people report Straight Talk Wireless has poor coverage and bad customer service. "The absolute worst item to buy at Walmart is their Straight Talk Wireless service," said Benjamin K. Glaser, features editor of online deals site, DealNews.com. "Every time we write about it on DealNews, our readers flood the comments with tales of terrible customer service driving them back to their old carriers. Many also received poor coverage, but even those who were happy with their phones and connections were driven away by the customer service." Unless you're looking for vinyl records, skip Walmart's CDs and stick to online streaming services for your music needs. Spotify Premium only costs $9.99 a month, as does Apple Music. Even Jay Z's new streaming service, Tidal, is affordable at $9.99 or $19.99 a month. Don't head to Walmart for wrapping paper or gift bags — you'll find cheaper prices (and a wider selection) elsewhere. "Walmart strives on its convenience of being able to offer up everyday items at low prices," said Sherin. "But when it comes to gift wrap and gift bags, you can find the real savings at dollar stores." Remember: If you save money on wrapping paper, that's more money you have available to spend on gifts. Yes, you can find a generous selection of gift cards in Walmart's checkout lines, whether you're looking for retail or restaurant certificates. Buy why buy full-price gift cards at Walmart when you can buy discounted gift cards online? "Walmart is a great stop for gifts and last-minute items," said Sherin. "However, if you have the time to plan ahead on your purchase of a gift card, look at sites like Raise and Cardpool, which offer discounted gift cards. You can find savings of 20 percent to 30 percent off what you would pay for face value at Walmart." Walmart sells laptops, but you'll find better, high-quality laptops somewhere. "Walmart has low prices on electronics like laptops and TVs, but the brands are also lower quality," said Perez of CouponSherpa.com. You can also find better laptop deals by doing a little comparison shopping. Glaser of DealNews.com revealed that Walmart has not had any notable laptop deals in a while. "Walmart has not had an Editors Choice laptop deal in the last two months," he said. Instead, you're likely to find better prices on laptops from Lenovo, Dell, Microsoft, eBay and Newegg. "While it can be hard to resist paying $150 for a 40-inch TV, sometimes if a deal is too good to be true, it probably is," explained Sherin. "If you are really wanting to invest in a quality TV, stick with retailers like Best Buy whose specialty is electronics." Glaser adds that you can even find better deals on high-end TVs at other competitors. "For the higher quality TVs, Dell Home and eBay consistently offer better deals," he said. Online retailers give Walmart a run for its money in the books and music department. "When it comes to entertainment — be it books, music or TV shows — you're typically better off shopping Amazon," reports MarketWatch. Running out of printer ink is annoying. Not only does it happen at the worst time, but ink cartridge packages can cost as much as $60 at Walmart. However, you can usually find cheaper printer ink online. "Unless a store is doing a ridiculous sale, printer ink is always less expensive online," said Paul Moyer of SavingFreak.com. "You can purchase re-manufactured cartridges for as much as 50 percent off the price you would pay in Walmart." With discounted jewelry at Walmart, you get what you pay for — low-quality pieces. "If you are buying jewelry at what would be deemed a discount store, don't expect to get the best quality items," said Sherin. Instead, she advised you try shopping at Macy's or Kay's, "who have experts that can walk you through the process of picking out a quality piece of jewelry." Walmart is famous for the incredibly low prices on furniture — particularly bookshelves and television consoles. And although Walmart's furniture is great for college students or those who have a small budget, it's always best to invest in higher-quality furniture that will last longer — even if it will cost you extra, said Sherin. Walmart's bedding selection isn't always the highest quality, and you can often do better elsewhere. If you prefer quality over price, wait for sales and buy bedding from similar stores. "You can find similar pricing for much higher quality at a discount retailer like HomeGoods or Marshalls," said Andrea Woroch, a consumer and money-saving expert. "Otherwise, shop sales at department stores like Macy's and JCPenney, and look for coupons via CouponSherpa.com to find applicable deals to get high-quality bedding for less." Before buying pet food at Walmart, compare the cost of buying in bulk from Amazon or a wholesale club. I compared Walmart prices with Sam's Club and found that the latter offered a generally better deal when purchasing in bulk. Amazon and Walmart offer similar prices on some of their household appliances — but not on everything. A good rule of thumb is to buy smaller items in bulk online, and price compare anything bigger before buying it at Walmart. If your dishwasher or fridge breaks down, fight the urge to run to Walmart. You might find a better deal at competing retailers. "If you are needing to replace that pesky dishwasher or looking for a new refrigerator, Walmart may not be the place to find the sweetest deal," said Sherin. "We see stores like Sears and Best Buy excel in the appliance department, often offering free installation, home delivery and removal of the old appliance." It doesn't matter if you're buying glasses, mugs or dinnerware — I've found that Walmart's prices can't beat the dollar stores when it comes to kitchenware. Try browsing Dollar General's selection — you'll get more items for your money. Need new tires? Skip Walmart, and get your next set of wheels from Sam's Club or Costco. Costco, for example, even offers free tire balancing and rotations. Rather than spend $2 or $3 per greeting card at Walmart, check out the selection of cards at Dollar General or the Family Dollar. I found cards for every occasion at Dollar General starting at $1. Woroch and Perez had the same experience. "The best deal for greeting cards and gift wrap is at the dollar store; you can't beat their prices," said Woroch. "While Walmart sells a few cards for 99 cents, most of their greeting cards are $3 to $5," added Perez. "I can buy two-for-$1 greeting cards from Dollar Tree, plus pay just $1 for gift wrap, bags, tissue, bows and more." You'll find ample garden supplies, lawn care equipment and patio furniture at Walmart, and the prices aren't bad, either. Unfortunately, in my experience, the quality isn't great. You might get more use out of outdoor equipment purchased from Home Depot or Lowe's, which both have a better selection and higher-quality merchandise. It doesn't make sense to spend several bucks for single hair accessories at Walmart. You can get many of the same items for $1 at dollar stores. I've found that Walmart prices tend to be higher for hair bows, headbands, combs and other hair supplies. A plastic kitchen utensil set at Walmart could run you between $10 and $15 for six or nine pieces, whereas I found individual pieces at Dollar Tree for as low as $1. Walmart's back-to-school deals might be cheaper than the deals advertised by other retailers, but if you're shopping for office or school supplies during other times of the year, I've found Walmart to be far more expensive than discount stores like the Dollar Tree. There, you'll find better deals on crayons, pens, markers, tape, glue, packing supplies and storage. Woroch recommends checking other stores' sales before heading to Walmart. "During back-to-school season, office suppliers like Office Depot and Staples run lots of sales where you can find penny deals on essentials like folders, notebooks and pencils," she said. Walmart has an entire aisle dedicated to party supplies, but these items are more expensive than other discount retailers. According to my research, you can stock up on party supplies at the Dollar Tree for far less. Purchase invitations, balloons, party favors and decorations — all for just a buck each. From laundry detergent to disinfecting wipes, Walmart's cleaning supplies are more expensive than the Family Dollar and Dollar General. You'll typically save between 30 cents and 50 cents by shopping at these discount retailers instead. If you don't mind buying generic lotion, toothpaste or deodorant, stock up on personal hygiene products at the Dollar Tree. Walmart does have a huge selection of personal hygiene products, and in many cases it offers better deals than its big-box competitors. Still, Walmart's generic brands can't match dollar store prices. In the early 2000s, Walmart implemented cost-cutting policies that reduced the number of necessary employees per store and resulted in a drop in store quality. This study provides evidence that a decrease in store quality was not consistent across the board, but instead impacted some customers more than others. "Walmart is the largest retailer and largest employer in the world; moreover, it has consciously branded itself as a champion of and boon for disadvantaged communities," writes Reich. "Its underinvestment in these communities is thus particularly notable." The study may have a few holes. The reliance on Yelp means that researchers can't examine reviewers' biases and outside influences. For example, a store's location in a lower-income or more predominantly Black or Latino neighborhood may impact how its quality is perceived by some reviewers, regardless of the store's customer service. However, this isn't the first time that Walmart's apparent understaffing has been called into question. Reports of Walmart saving money by cutting staff have also gotten the retailer in hot water with police. 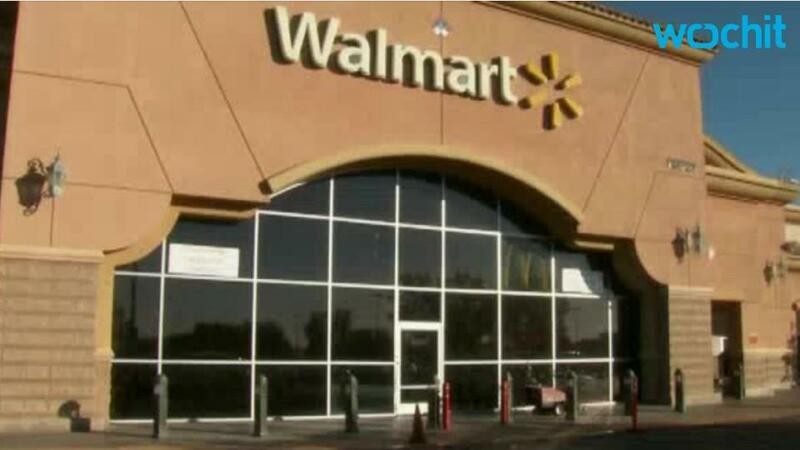 Earlier in August, Bloomberg reported that more than 200 violent crimes had been committed so far this year at Walmart locations across the US. Bloomberg argued that the rise in crime is a result of corporate policies. Cost-cutting policies that started in the early 2000s resulted in a drop in store quality, while the loss of greeters and the rise of self-checkout scanners made shoplifting and other illegal activities easier to engage in without employees noticing. "In the coming weeks and months, we will continue our increased outreach to law enforcement across the country, as part of our ongoing commitment to meet our customer's and associate's expectations of a safe and enjoyable shopping experience," a Walmart representative said in an email to Business Insider earlier in August. While Walmart's cost-cutting policies have had negative — and, at times, dangerous — outcomes for customers, they have also driven profits: Bloomberg found that sales per employee in the US grew 23% in the last decade to $236,804. Currently, Reich states that the retailer can turn a profit despite providing poor customer service because Walmart's super low prices have helped put local competition out of business. As a result, Walmart becomes some customers' only option — no matter how poor the shopping experience is. However, Reich argues that the retailer may suffer in the long term if it doesn't make some major changes. A poor shopping experience could be increasingly damaging for the brand as online shopping grows and competitors increasingly invest in providing quality in-store experiences. "For Walmart and other retailers, providing a pleasant customer service experience seems likely to be increasingly important to corporate profitability," writes Reich. "For its own sake, then, Walmart should hire more employees, particularly at stores in low-income communities of color, and give all Walmart employees more reasons to smile through better wages and working conditions."